Extract: These figures, did not come from the .NYC registry or Neustar the operator of the extension or SnapNames.com which held the auction. All these numbers came from bidders that may have won or lost landrush auctions. Domainers register their domain names at Uniregistry. Extract: According to Registered.Today 132 domain names in the new gTLD .Healthcare were registered on day 5 of the Early Access Program. Soon,domainers can register their .HEALTHCARE domain names with Uniregistry. Update on Next Round of New gTLDs (3:15 to 4:30) – ICANN will provide the next steps and a timeframe for a second round of new TLDs. I don’t expect much new news in the way of dates, nor do I expect any dates to actually be met. Still, this will be interesting for those that are considering applying for a new TLD next time around. 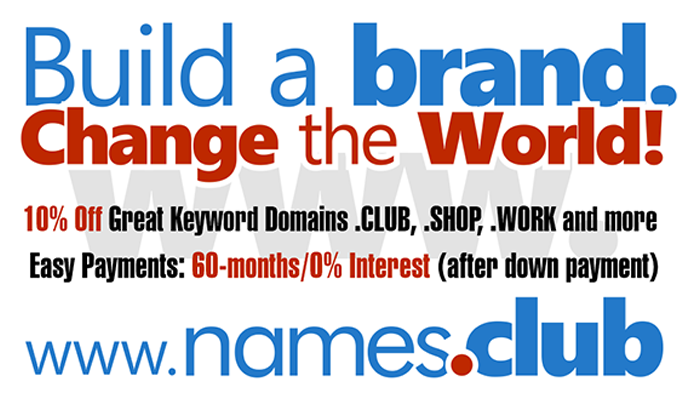 New gTLD Domainers register their .DOMAINS at Uniregistry.